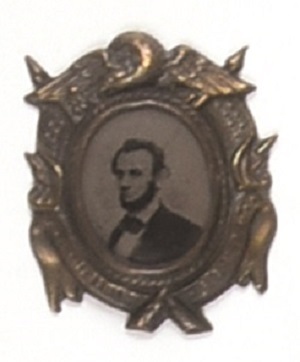 There’s nothing quite like starting off an auction with a beautiful Abraham Lincoln ferrotype. This rare item has an eagle and flag design and the words “E Pluribus Unum” across bottom. It’s a 1 1/8 inch ferro that comes from a long-time Lincoln collector. No pin on back, front excellent.